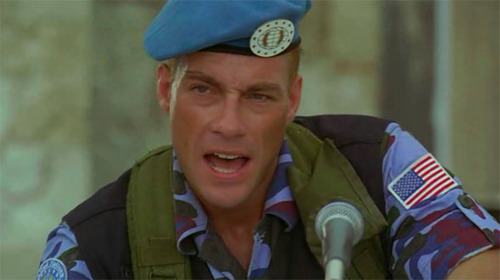 Reason #50037 Why Jean-Claude Van Damme is One Of the Coolest People On The Planet!! We don’t usually post this kind of stuff on the site, but this was too cool not to share. This short video right here is a commercial for Volvo’s new trucks, which are supposed to have impeccable steering and handling. And Volvo hired JCVD himself to do one of the coolest and most insane advertisements I’ve ever seen. If I was in the mood for a truck like this, I would buy this one, based off this commercial alone. The following video is completely real and is a must see. Enjoy the amazing video below of JCVD being JCVD. This entry was posted on Friday, November 15th, 2013 at 12:34 am	and is filed under Film, News, Television. You can follow any responses to this entry through the RSS 2.0 feed. You can skip to the end and leave a response. Pinging is currently not allowed. « Joe Wright Will Direct ‘Peter Pan: Origins’ for Warner Bros.! !